Over many years a question had formed in my mind: could colour be taught in as practically useful a way as, say drawing? So that a student could develop immediately useful enhanced colour skills and a better ability to see into the inner workings of colour relationships. I had kept my own private colour notebooks since the 1970s, mostly for my own purposes in the studio. I was also doing some Art School teaching. By the early 1990s it became apparent to me that the great majority of students were arriving with little or no previous taught knowledge or practical experience of colour, although they did have experience in several other areas of art and design work. What information about colour the few did have was partial, often confused and, quite surprisingly, it had never been tested by them practically to see if it really worked. 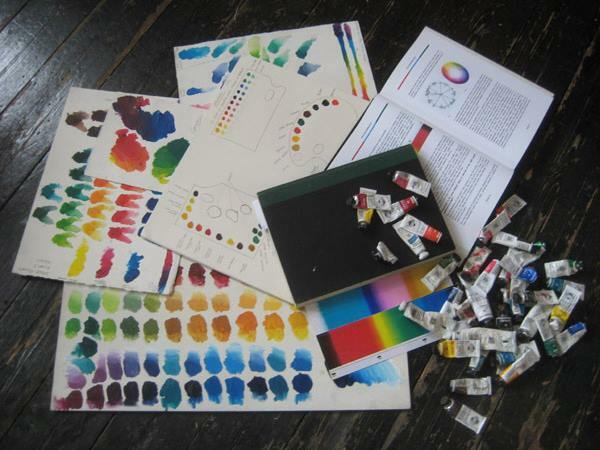 While most studio-based disciplines in art schools are taught, like drawing, with a practical, hands-on approach, any information about colour tended to be delivered in a more wordy "theory" orientated way. Also a lot of this received information took little regard of what had happened in the fields of other colour technologies like photography, television, colour printing and reprographics, and almost never referred to the way our colour vision works physiologically. The information that even the informed students had been given had perhaps been useful in very much earlier years but largely ignored any more recent understanding. And, put very simply, this received "theory" was often very subjective or symbolic and it just didn't really work very well in practice. It must always be hands-on, visual work first, explanations second. All the introduced ideas about colour must always work in practice. It should be able to explore the inter-relationships of colours. It should provide immediately useful working concepts from this understanding. It should include relevant knowledge from outside the immediate confines of art & design practice. And all of this should be delivered in as plain and un-technical a language as possible. 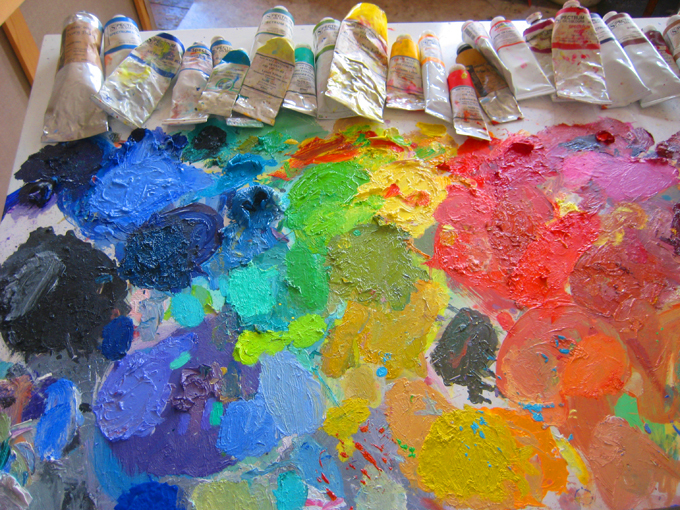 The Colour Mixing Workshop in its present form is the course that has developed from this. It has proven to be very useful to those with general interests across a wide visual field and also to specialists and it is always evolving to work even better. 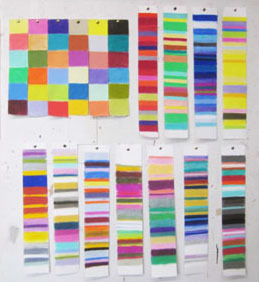 After the course students often report a more “tuned-up” awareness of colour and colour relationships and feel confident about taking this forward into their own work.